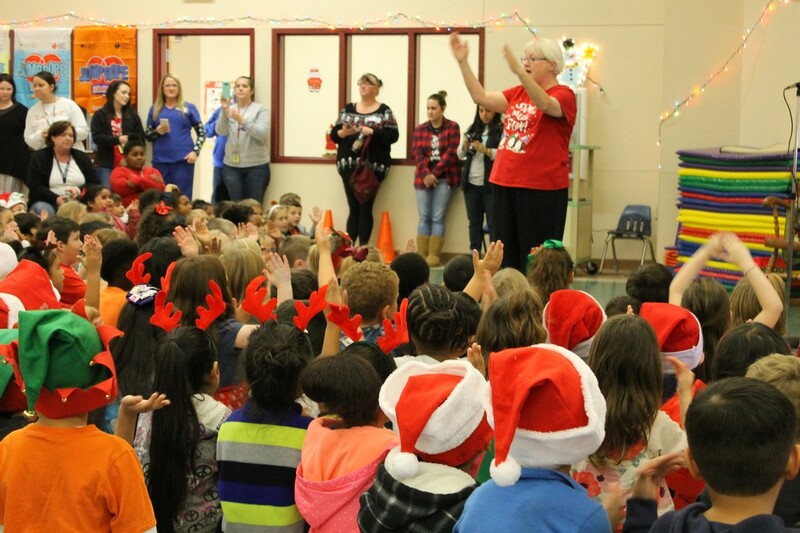 The Early Childhood Learning Center and SS Middle School celebrated the last day of school before holiday break on Thursday, December 21st. 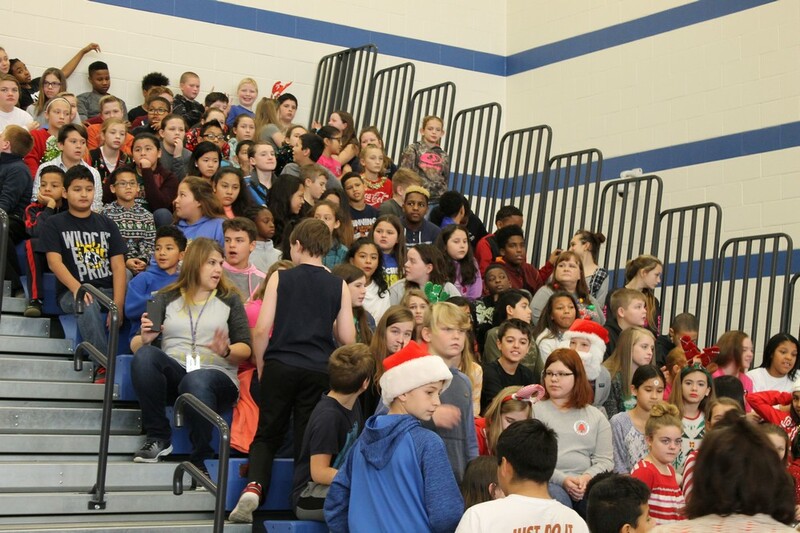 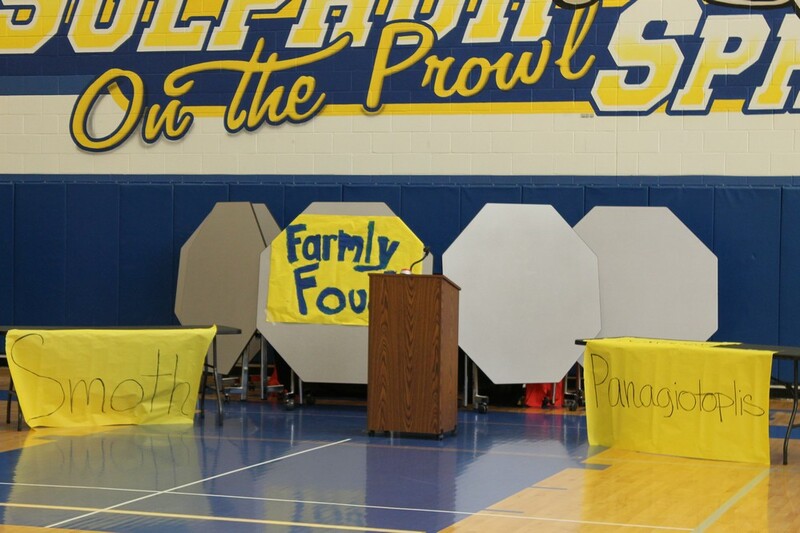 The Middle School held their Wildcat Pride Assembly at 9:30 am. 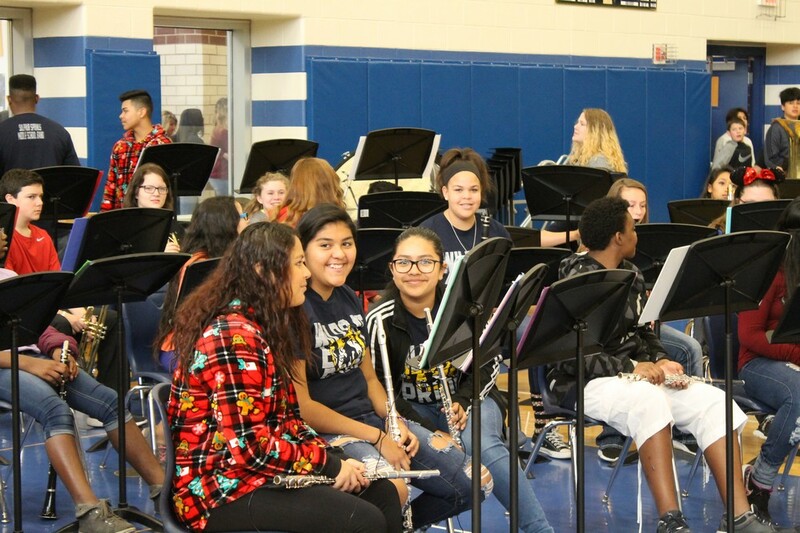 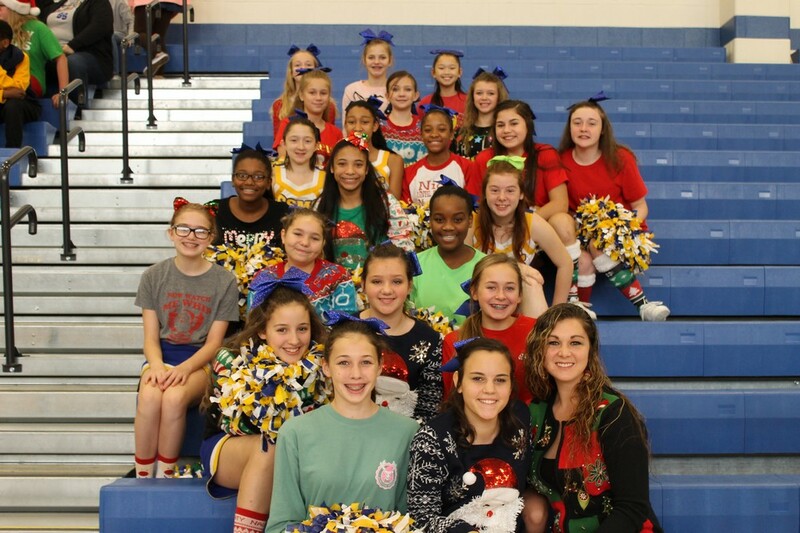 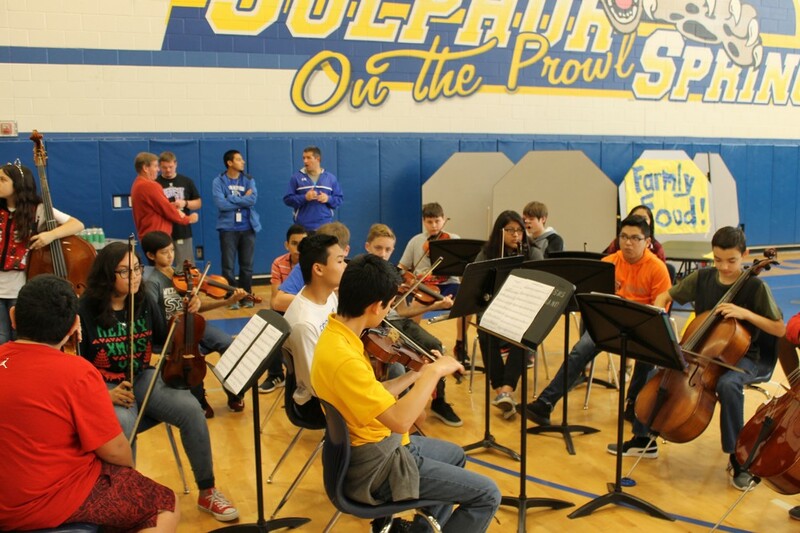 The cheer team was decked out in festive sweaters and the band and orchestra played classic Christmas tunes. 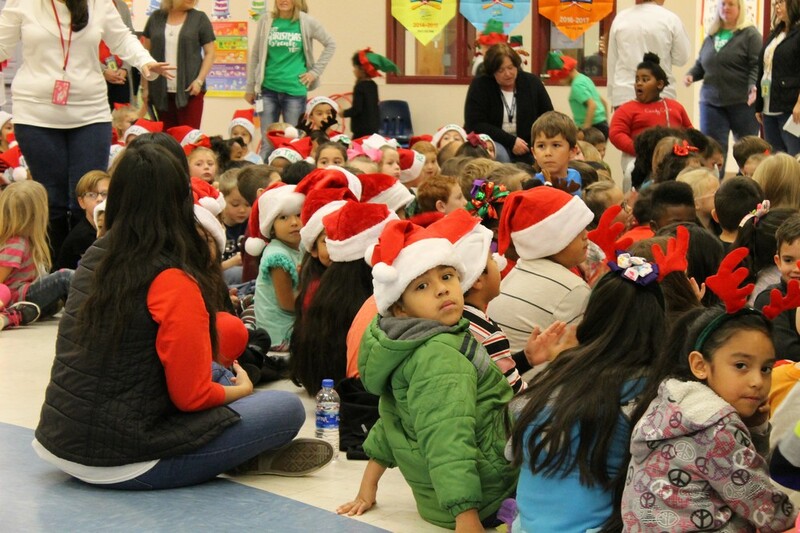 The students were excited as they filled in to watch the festivities. 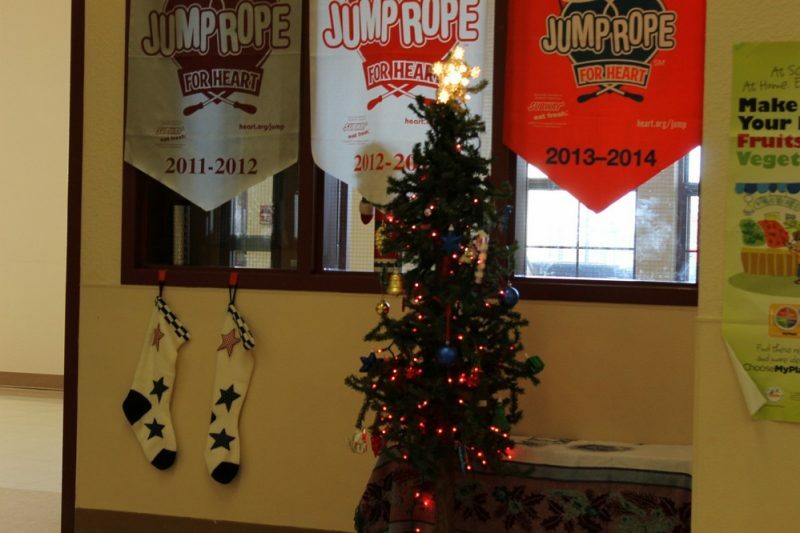 Wildcat Pride winners were recognized and top readers and math challenge winners were able to “jump for George”. 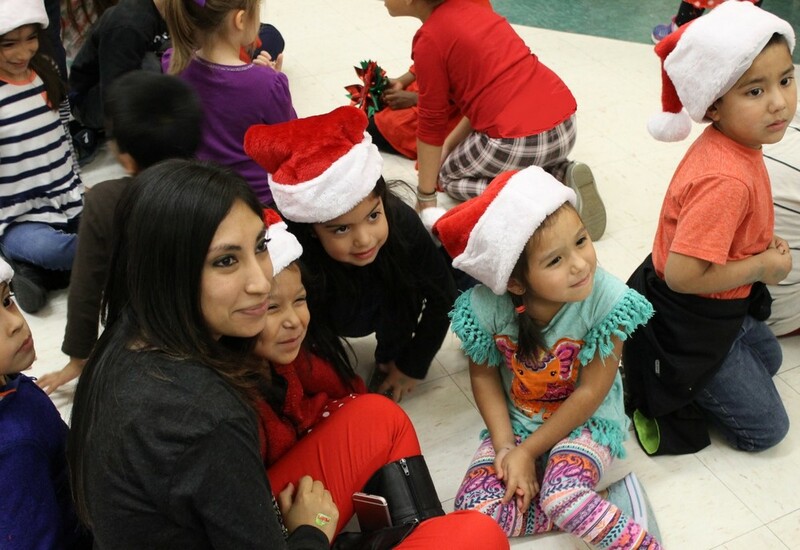 ECLC had a Sing Song available for parents and family members to watch their Kindergarten and T1 students sing and dance to holiday favorites at 10:00 am. 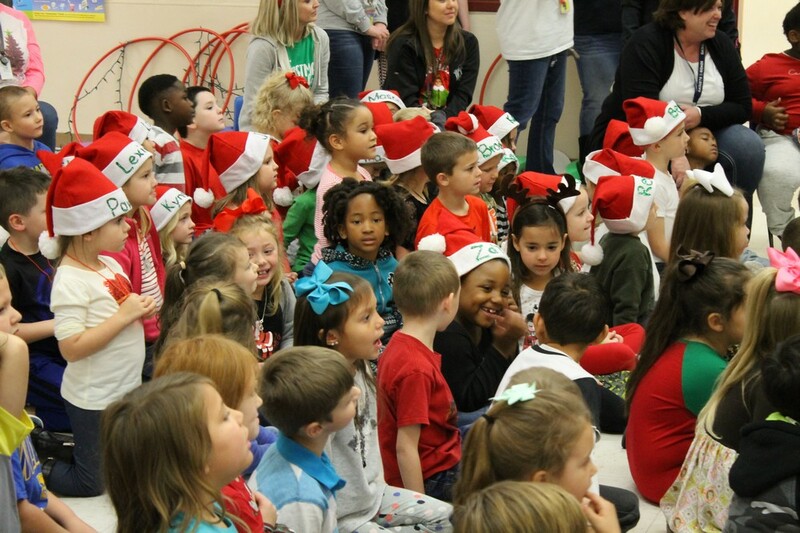 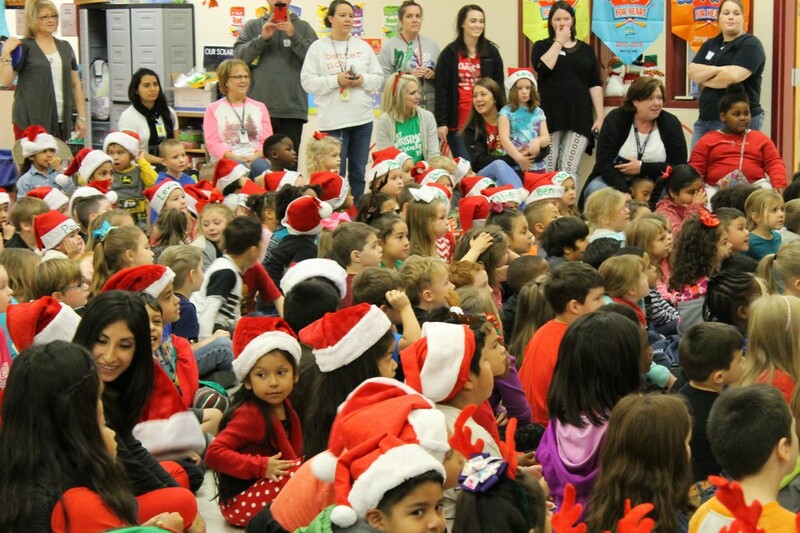 They began the program with story time where the students and parents listened to “Twas the Night Before Christmas”. 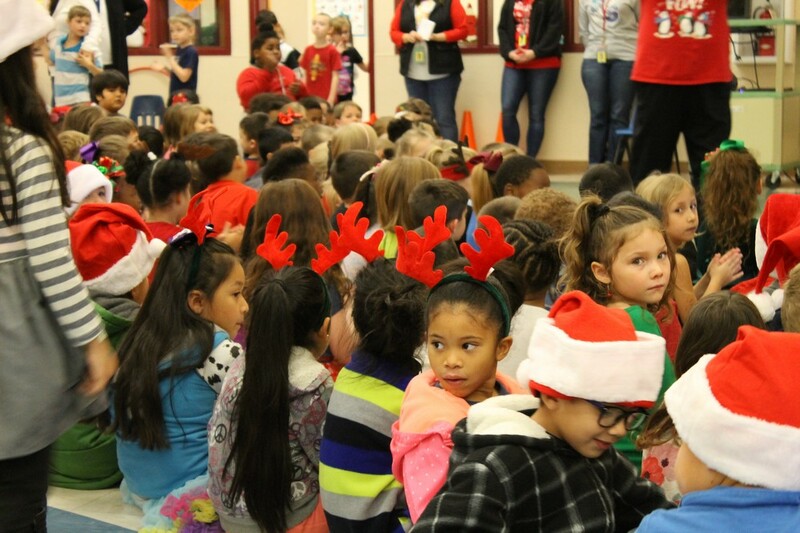 Then kids sang songs like “Jingle Bells”, “Up on the House top”, “Santa Claus is Coming to Town”, and many more! 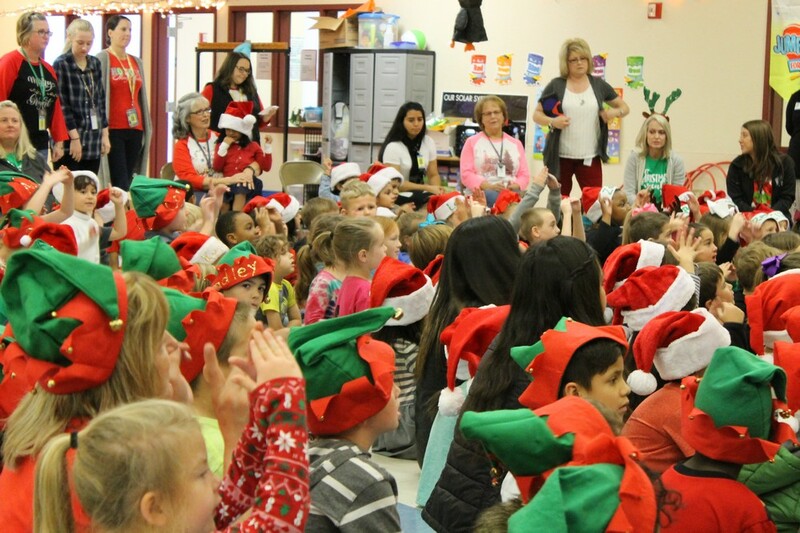 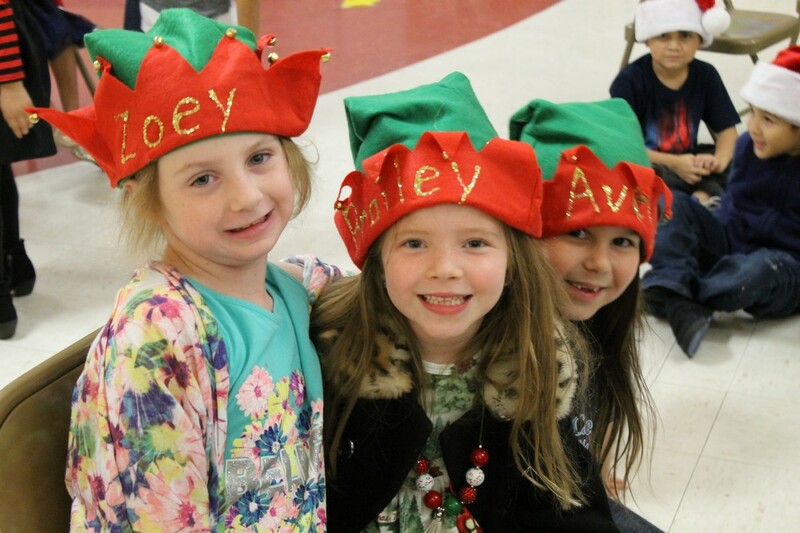 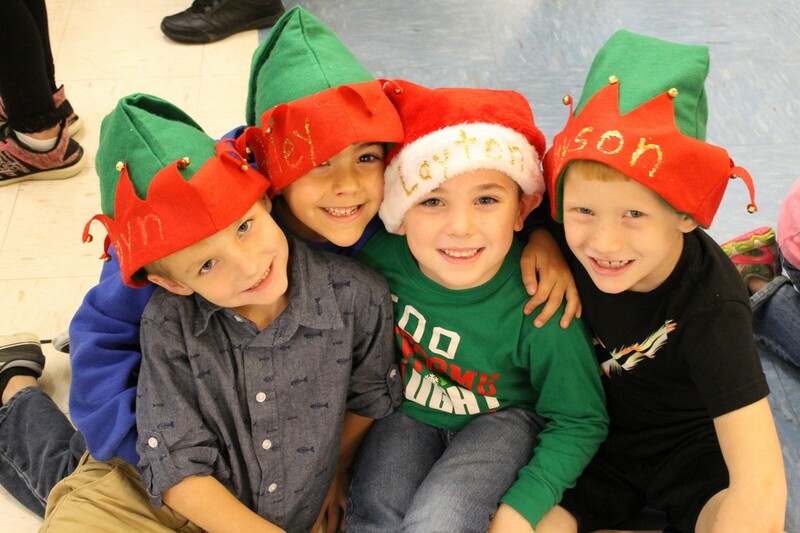 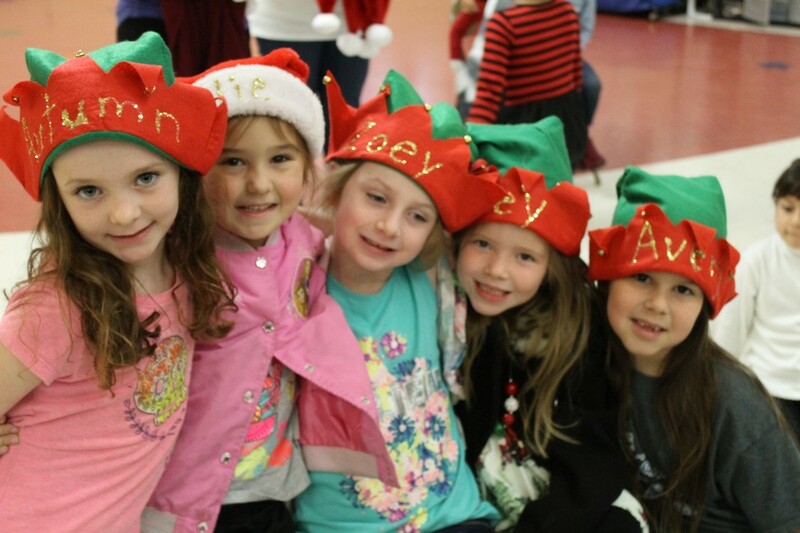 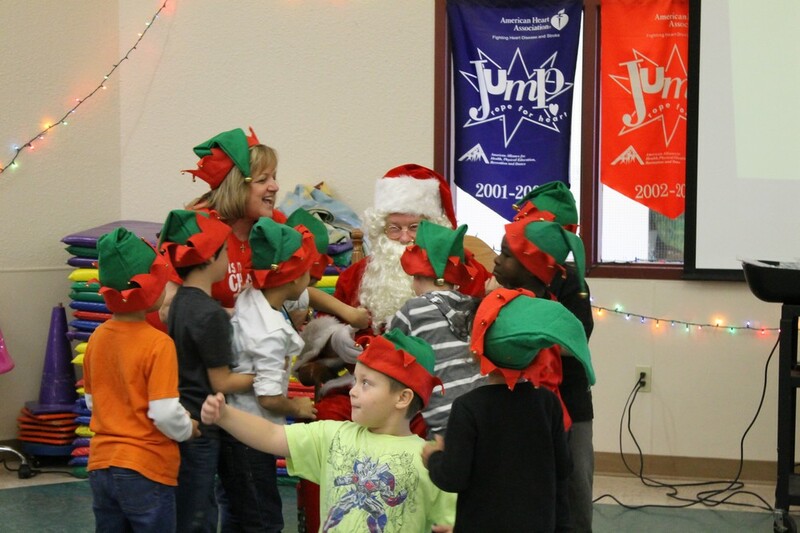 Kids were smiling as they wore Santa Hats, Elf Hats, and Reindeer antlers. 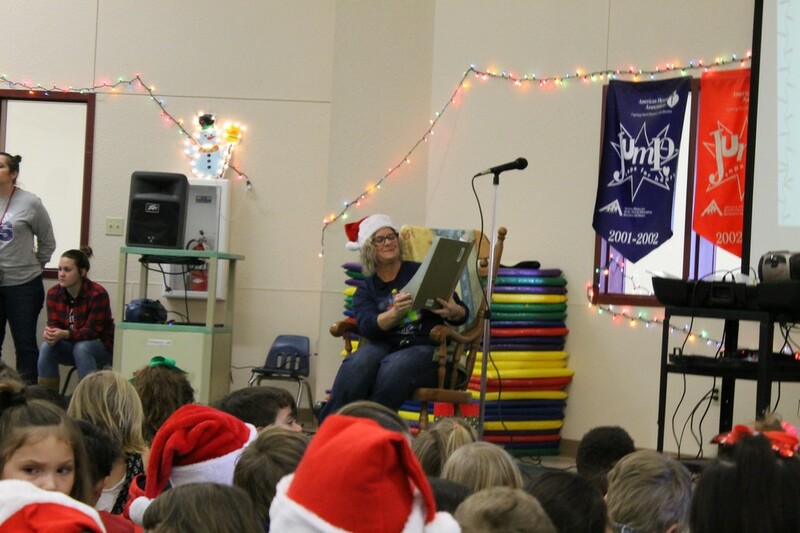 They mimed the movements and pretended to play instruments like the piano and xylophone. 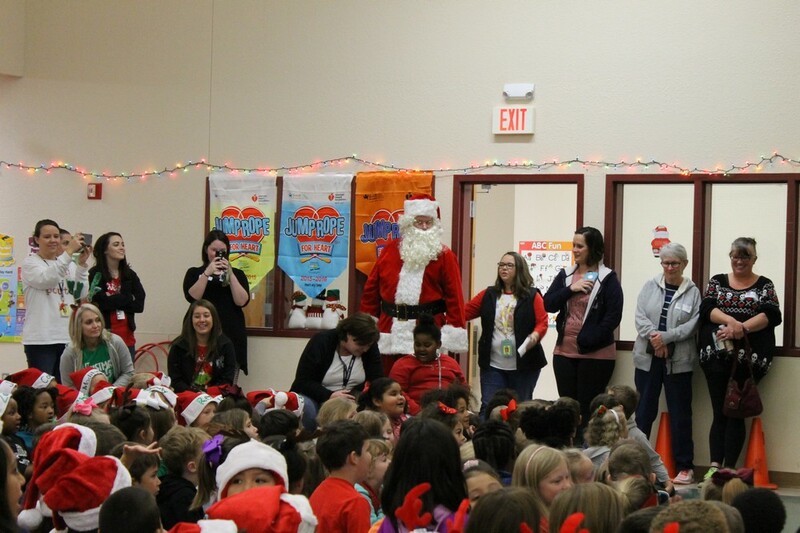 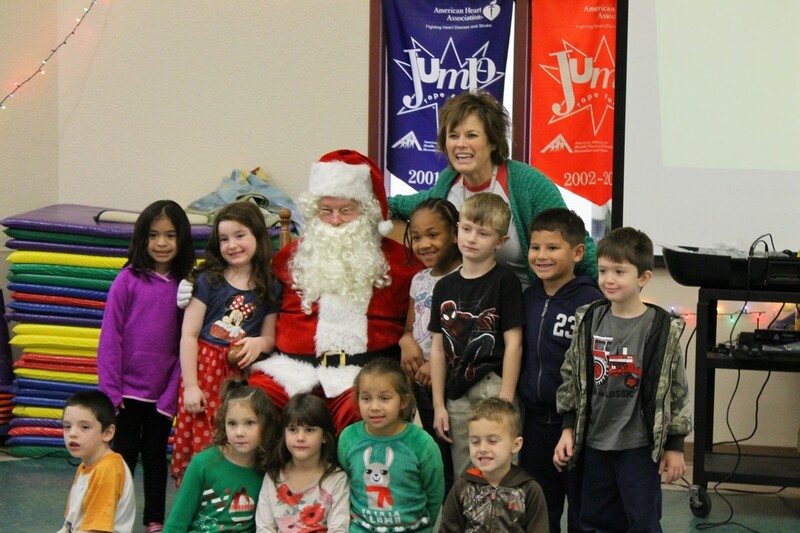 The program ended with a surprise visit from Santa! 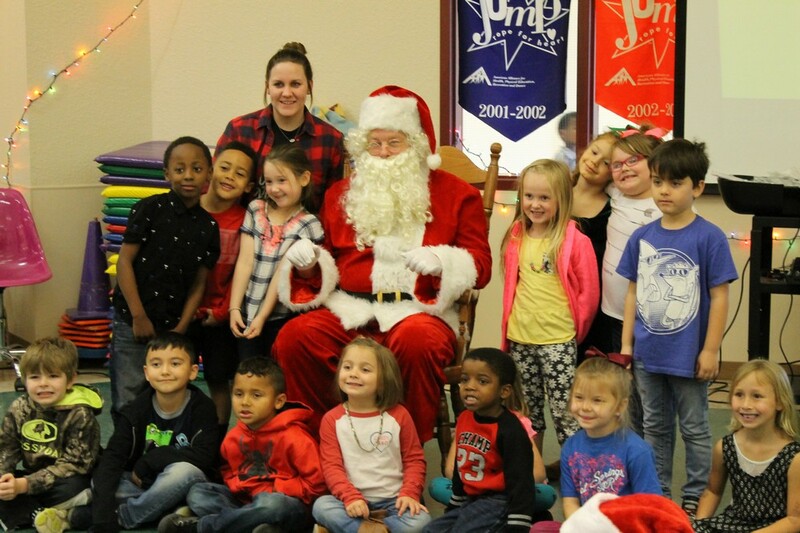 Each class got to take a picture with Santa, who gave all the good little boys and girls candy canes before they headed back to class. 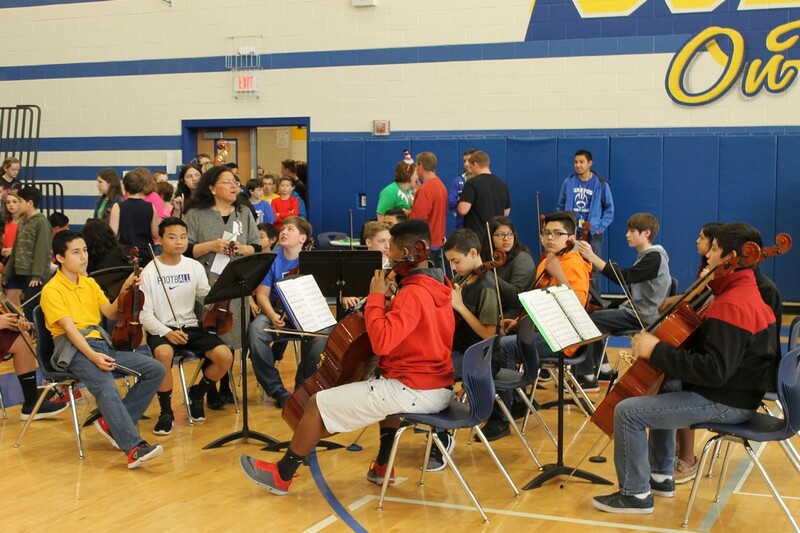 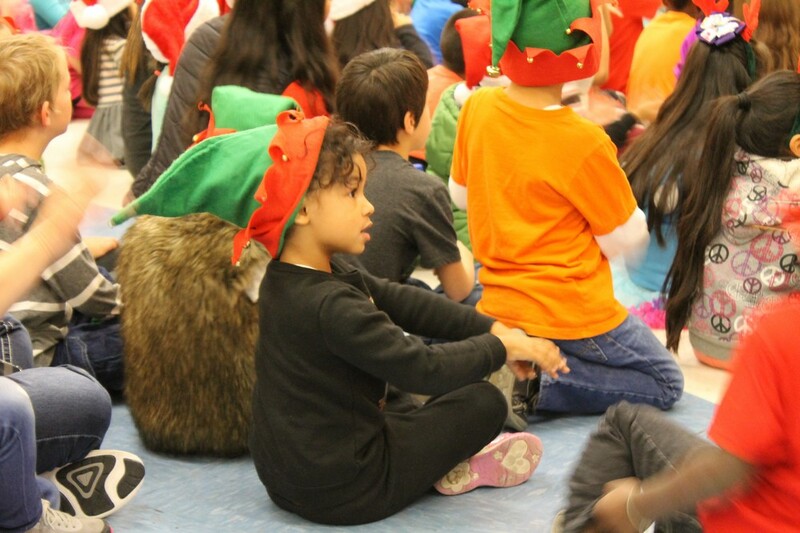 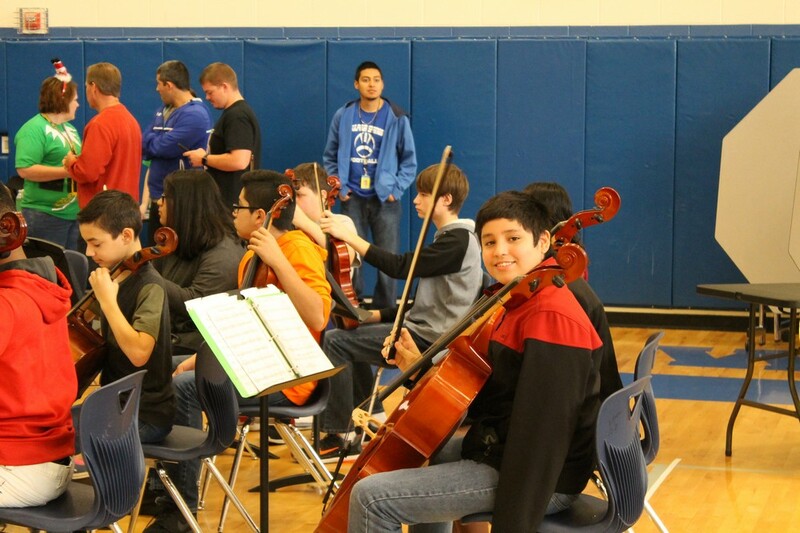 Both Holiday events were exciting and the students had a wonderful time! 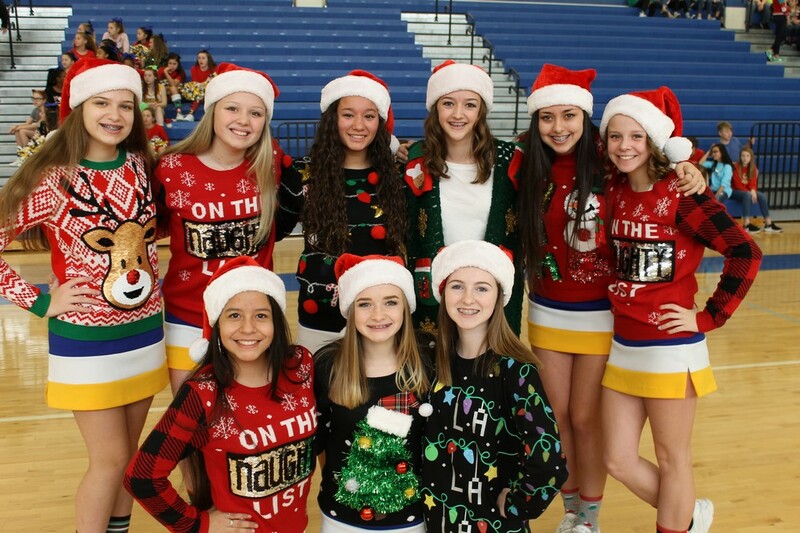 What a great way to kick off winter break!